Start preparing for the upcoming Certified Resistance Welding Technician (CRWT) certification at the Emmett A. Craig RWMA Resistance Welding School. Presented by industry experts, this is an intensive two-day course covering the fundamentals of Resistance Welding. The course is designed for Resistance Welding community members in a variety of roles, such as Welding & Production Managers & Supervisors, Engineers, Setup and Senior Operators, Trainers & Educators. Students emerge from the course with a better understanding of Resistance Welding Fundamentals, from Theory to Application Requirements to Equipment and Setups used in various Resistance Welding processes. The focused learning environment better prepares those new to Resistance Welding, and further educates the experienced. Day One discusses Resistance Welding processes and the associated machines, materials, electrodes and power systems. Day Two explores resistance welding controls, quality standards, machine set-up and maintenance. The course concludes on Day Two with a Q & A panel where students can get feedback from the instructors on their specific applications. Registration is limited to the first 40 students. All cancellations MUST BE IN WRITING. If you cancel 35 DAYS PRIOR to the school you will receive a refund of 50%. If you cancel from 34 DAYS to 3 DAYS PRIOR to the school you will receive a refund of 10%. NO REFUNDS will be given 3 DAYS or less prior to the school. Wright-K TechnologyThis session will reinforce the basics of resistance welding and how it relates to each of the four resistance welding processes. This session will be full of application examples from each process, and will show how machinery utilizes the individual components and elements illustrated in the other sessions. RoMan Manufacturing This session reviews the descriptions and maintenance of electrical power components and conductors from the weld control to the electrode. This lively presentation has something for everybody. Utilizing several small demonstrations, Kendall Ymker will keep attendees on the edge of their seats as he highlights the important part of the resistance welding process. ENTRON ControlsThis discussion focuses on the selection, descriptions, and applications of welding timers, contractors, and accessories. Packed with a punch, Don Sorenson drives home understanding energy that creates a weld, H=I2Rt, that is unforgettable. Learn how this invaluable formula is used in every resistance welding applications – every day – every cycle – all the time! Tuffaloy ProductsThis session will focus on the classification, selection and maintenance of electrodes and fixtures as they pertain to numerous applications. Discover powerful problem/evaluation/solution techniques that will keep a production process running longer–and operation more efficient. ENTRON ControlsMike takes the mystery out of setup by guiding you through the steps to develop the proper weld schedule. He will also introduce Troubleshooting, Preventative Maintenance and Safety concepts that provide profitable resistance welding operations. R&E Engineering ServicesA unique session designed to make you think about the quality standards associated with two common forms of resistance welding, spot and projection. After hearing Don’s presentation, it is very possible that you will never look or think about a weld the same way again. R&E Engineering ServicesNot all materials are created equal, especially from the perspective of resistance welding. This session will present a brief overview of the most common materials joined by the resistive processes. Don will also highlight specific methodologies for joining them that have proven successful over his 20 years in the resistance welding industry. This session combines all instructors in a panel format answering any question you may have. This is also a great opportunity to discuss your specific application. AWS does not have an official host hotel for this School. Below is a list of hotels nearby the RoMan Facility. Stay at the Holiday Inn® hotel for truly convenient accommodations! 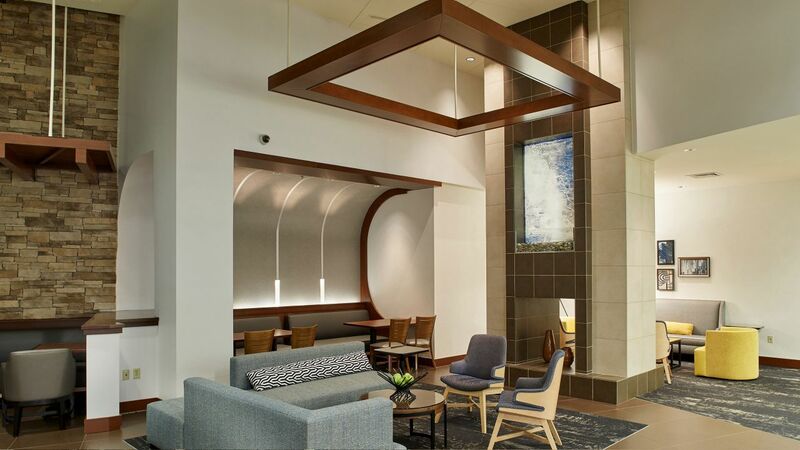 The hotel’s thoughtful location in downtown Grand Rapids, Michigan is 15 miles from Gerald R. Ford International Airport (GRR), two blocks from DeVos Convention Center and within walking distance of top businesses. Just outside the hustle and bustle of Downtown Grand Rapids, near the mesmerizing shores of Lake Michigan, is the Hyatt Place Grand Rapids-South, your home away from home. No matter why you’re here, at the end of the day return to cozy rooms near the heart of downtown. 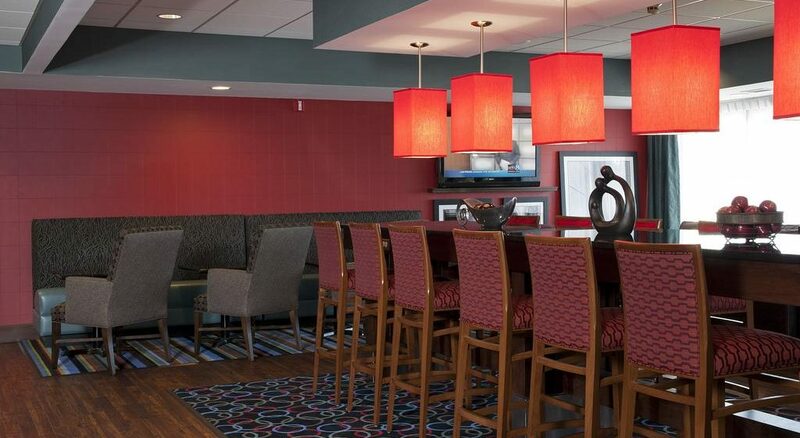 Relax at our Hampton Inn Grand Rapids-South hotel, boasting renovated guest rooms (Jan, 2016). Located directly off US 131 in Wyoming, Michigan, this suburban hotel offers easy access to shopping and dining at Rivertown Crossings Mall, only four miles away. Appreciate our hotel’s proximity to golf courses, historic sites and several colleges and universities, including Grand Valley State University. • Company name and booth number on lanyard*. Production is not included. * Sponsor responsible for providing lanyard and giveaway item. Giveaway item must be approved by AWS. Sponsor may choose to ship giveaway item to AWS HQ by March 11, 2019, or sponsor can bring item to conference for distribution. • Company logo on pen given to each attendee at registration. Production is not included. * Sponsor responsible for providing 100 pens. Sponsor may choose to ship pens to AWS HQ by March 11, 2019, or sponsor can bring pens to conference for distribution. • Company logo on tote bag* given to each attendee. Production is not included. * Sponsor responsible for providing 50 tote bags and giveaway item. Giveaway item must be approved by AWS. Sponsor may choose to ship giveaway item to AWS HQ by March 11, 2019, or sponsor can choose to bring to conference for distribution. * Sponsorship includes production of 50 notebooks. In the event that multiple sponsorships are sold, all sponsor logos will be imprinted on each notebook. Sponsorship must be sold by March 11, 2019 for fulfillment.